This vegan Lemon Blueberry Cake is soft, moist, and delicious. 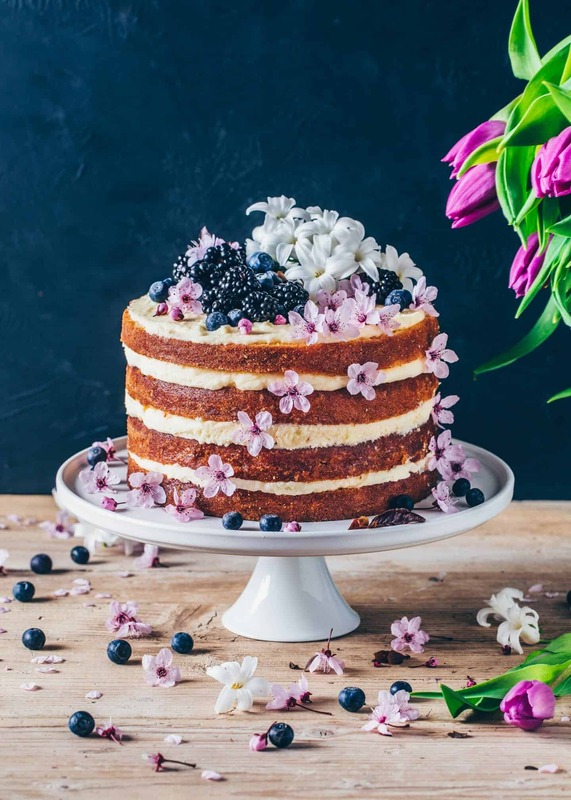 It's a fruity layer cake with a creamy lemon frosting and blueberries. The perfect dessert!